The first day of spring has arrived! 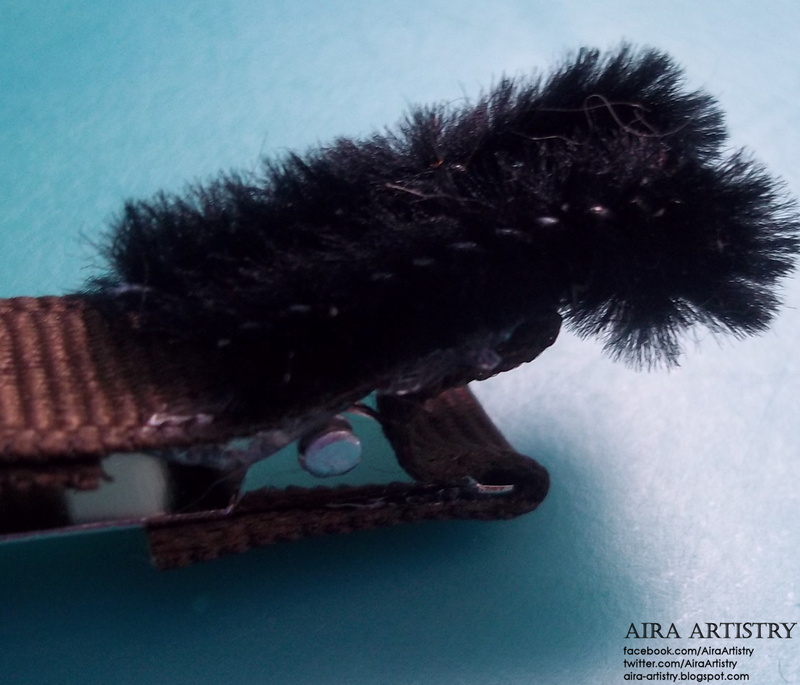 Despite the snow still covering the ground here in Michigan, today I’m welcoming in the new season with some stylish Caterpillar Hair Clips. 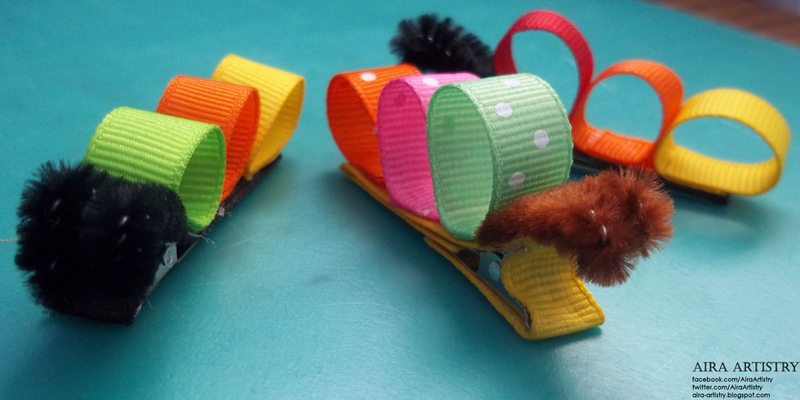 I’ve made several types of critter-clips now, and these have thus far been the easiest to create! 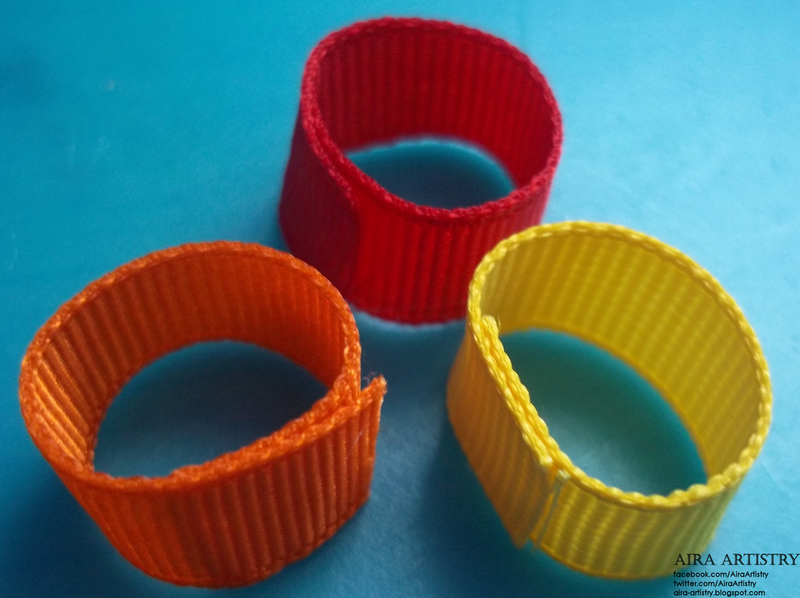 First you want to hot glue the three 3/8″ grosgrain strips into rolls, as pictured above. 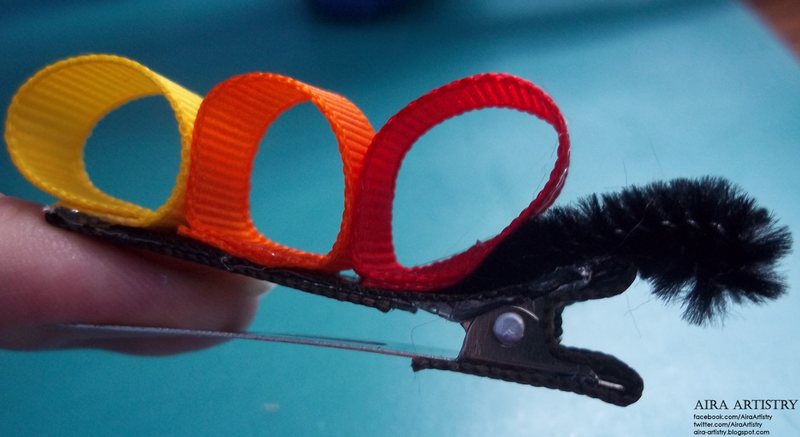 Try not to have too much overlap where the ends meet or it may be difficult to place them on the clip. 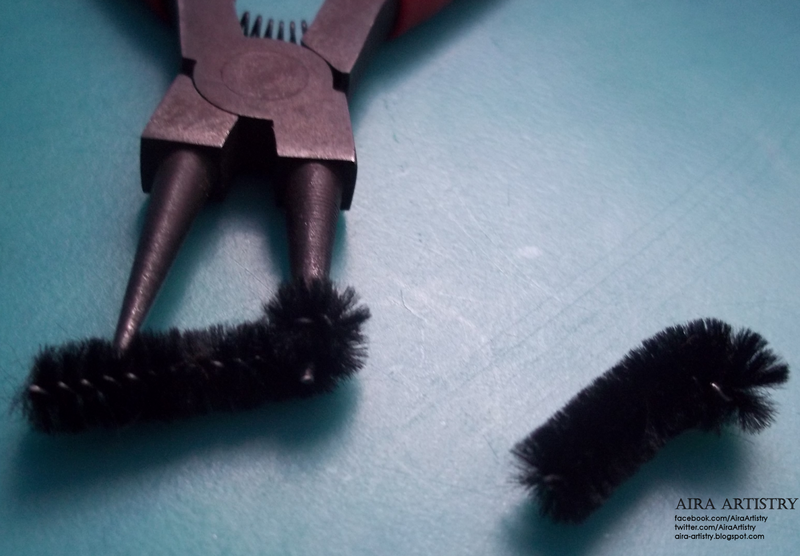 Take the round nosed pliers and give the pipe cleaners a couple of rolls on one end. These will be your antennae! 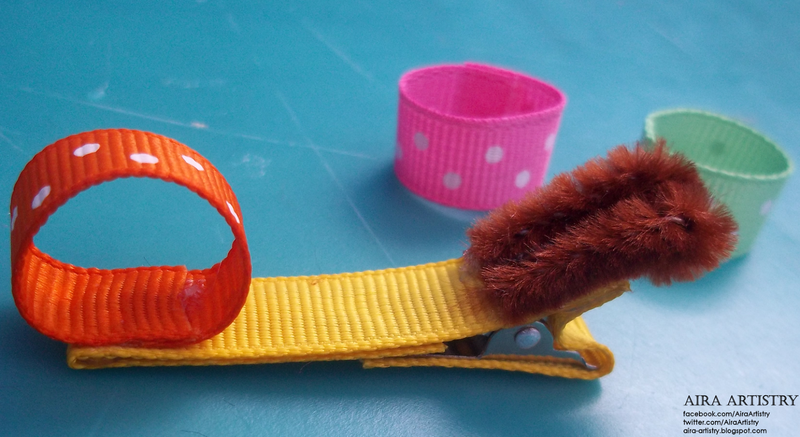 Add a bit of hot glue to the handle end of your covered hair clip and attach your antennae. I like to attach them with two separate hot glue applications to ensure that they both have even coverage. Now we get to start making the body! 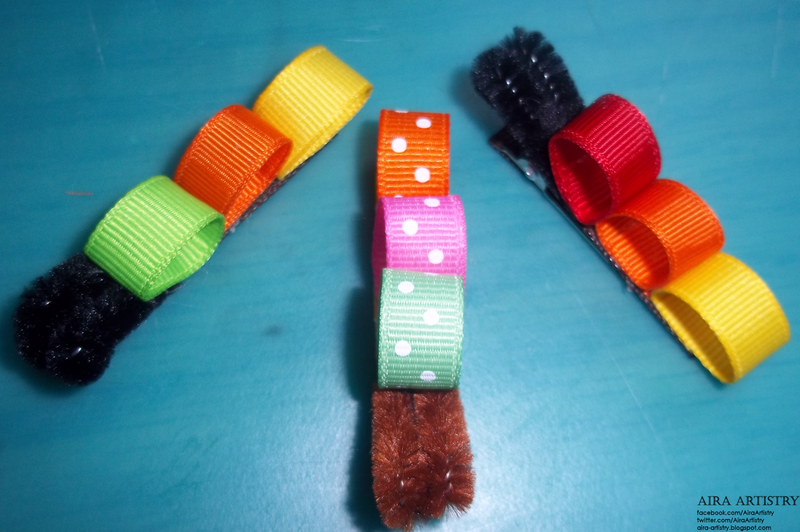 Attach your grosgrain rolls one-by-one to the clip. I prefer to apply the hot glue to the bottom of the roll and to start at the opposite end of the antennae (that way if my rolls are a bit “big” I can still squeeze them in!). That’s all there is to it! 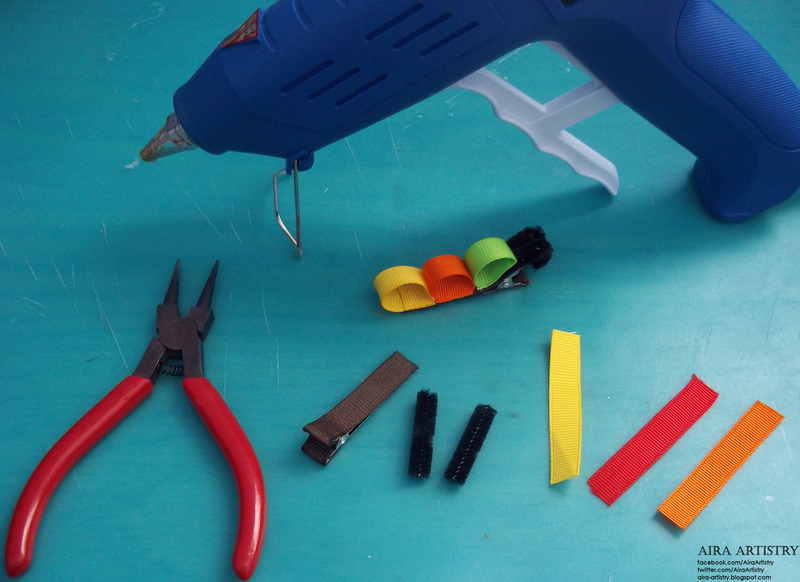 Let your glue dry and your clip is ready to go!